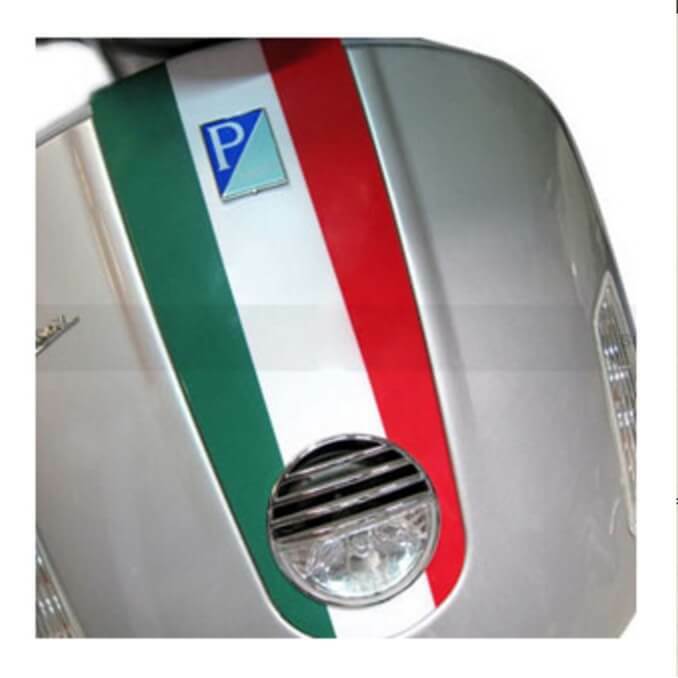 Shout out your scooter's Italian origins with this vinyl flag decal. Check out our other GTS flag stickers too! This decal is basically a long rectangle, and it is best to take your horncast off your bike in order to install it properly. You'll want to cut out a circle for your horn and a rectangle for your emblem. The extra material will wrap around the sides of the horncast so the red and green portion will cover the sides completely. It's a great look, but takes a little extra investment of time to get it looking that way, as with most decals on any curved surface. Enjoy!